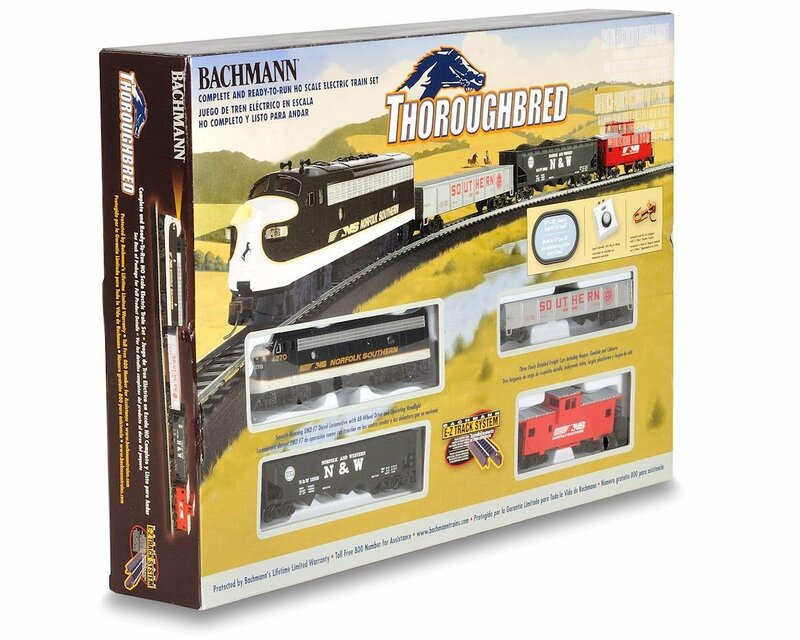 This is the Bachmann HO-Scale Thoroughbred Train Set. Wheels rumble like the pounding of hooves as this iron horse rounds the bend. Hauling freight with the ease and grace of a champion, the Thoroughbred delivers fun and adventure to your stable of trains.